Joel is one of the later prophets in history, active after the return of the Babylonian exiles and the rebuilding of Jerusalem and its Temple. The purpose of his prophecy is to discern God’s will in a huge storm of locusts which has ravaged crops. He takes it as a call to the people to lament, a ritual expression of grief. In chapter two the shofar sounds the alarm. The Day of the Lord is coming like that plague of locusts. The people’s grief must turn to repentance, and Joel lists some common practices of repentance in his day, yet he is also clear that those practices must be outward signs of an inward commitment. The final sentence is an appeal to God’s sense of honor and duty. The prophet is told to reveal to the people the incongruity between their lifestyle and the values they express in their worship. The scene is a liturgical one, announced with the shofar. After pointing out this incongruity, the Lord reveals what genuine fasting should result in: the practice of justice and a turning away from oppression. 1Shout out, do not hold back! Lift up your voice like a trumpet! Announce to my people their rebellion, to the house of Jacob their sins. 2Yet day after day they seek me and delight to know my ways, as if they were a nation that practiced righteousness and did not forsake the ordinance of their God; they ask of me righteous judgments, they delight to draw near to God. 3“Why do we fast, but you do not see? Why humble ourselves, but you do not notice?” Look, you serve your own interest on your fast day, and oppress all your workers. 4Look, you fast only to quarrel and to fight and to strike with a wicked fist. Such fasting as you do today will not make your voice heard on high. 5Is such the fast that I choose, a day to humble oneself? Is it to bow down the head like a bulrush, and to lie in sackcloth and ashes? Will you call this a fast, a day acceptable to the Lord? 6Is not this the fast that I choose: to loose the bonds of injustice, to undo the thongs of the yoke, to let the oppressed go free, and to break every yoke? 7Is it not to share your bread with the hungry, and bring the homeless poor into your house; when you see the naked, to cover them, and not to hide yourself from your own kin? 8Then your light shall break forth like the dawn, and your healing shall spring up quickly; your vindicator shall go before you, the glory of the Lord shall be your rear guard. 9Then you shall call, and the Lord will answer; you shall cry for help, and he will say, Here I am. If you remove the yoke from among you, the pointing of the finger, the speaking of evil, 10if you offer your food to the hungry and satisfy the needs of the afflicted, then your light shall rise in the darkness and your gloom be like the noonday. 11The Lord will guide you continually, and satisfy your needs in parched places, and make your bones strong; and you shall be like a watered garden, like a spring of water, whose waters never fail. 12Your ancient ruins shall be rebuilt; you shall raise up the foundations of many generations; you shall be called the repairer of the breach, the restorer of streets to live in. Psalm 103 as a whole is the greatest expression in the psalms of trust in the compassion and mercy of God. God’s mercy covers not only the forgiveness of sins, but also the healing of infirmities. The psalm also recognizes the constant need of humanity, using an image from Genesis (2:7) that we are but dust. God knows this better than we do ourselves, but his response is not condemnation, it is “steadfast love,” [hesed] an important concept in the Hebrew Scriptures. In its context this passage is a summary of Paul’s defense of himself as an apostle. This defense has been going on since the beginning of the letter. Someone has challenged his authority and, more importantly, the content of his teaching. He claims for himself, and all those who would follow Jesus, the ministry of reconciliation. We are called to this ministry in all the suffering and the joy of our lives. The catechism of The Book of Common Prayer, teaches that this ministry of reconciliation is the primary ministry of the church: “The mission of the Church is to restore all people to unity with God and each other in Christ” (p. 855). 5:20bSo we are ambassadors for Christ, since God is making his appeal through us; we entreat you on behalf of Christ, be reconciled to God. 21For our sake he made him to be sin who knew no sin, so that in him we might become the righteousness of God. 6:1As we work together with Christ, we urge you also not to accept the grace of God in vain. 22For he says, “At an acceptable time I have listened to you, and on a day of salvation I have helped you.” See, now is the acceptable time; see, now is the day of salvation! 3We are putting no obstacle in anyone’s way, so that no fault may be found with our ministry, 4but as servants of God we have commended ourselves in every way: through great endurance, in afflictions, hardships, calamities, 5beatings, imprisonments, riots, labors, sleepless nights, hunger; 6by purity, knowledge, patience, kindness, holiness of spirit, genuine love, 7truthful speech, and the power of God; with the weapons of righteousness for the right hand and for the left; 8in honor and dishonor, in ill repute and good repute. We are treated as impostors, and yet are true; 9as unknown, and yet are well known; as dying, and see—we are alive; as punished, and yet not killed; 10as sorrowful, yet always rejoicing; as poor, yet making many rich; as having nothing, and yet possessing everything. Our Gospel today is a portion of the Sermon on the Mount. The purpose of this teaching on almsgiving, prayer and fasting is to bring together in a vital connection those spiritual practices and the conversion of the heart. Our motivation (a result of that conversion) is very important to Jesus. We do these things not to be seen and to be thought well of. This sharply contrasts in his own day, the Roman custom of philanthropy as a public display. The passage ends with the question for our hearts: Where is your treasure? The skipped portion of chapter six is the teaching of what we call the Lord’s Prayer. The readings are taken from The New Revised Standard Version of the Bible © 1989 by The Division of Christian Education of The National Council of Churches of Christ in the U.S.A. The Collect of the Day and the translation of the Psalm are from The Book of Common Prayer. Commentary on the readings is copyright © 2019, Epiphany Esources, www.epiphanyesources.com. All rights reserved. Permission granted to copy for congregational use with subscription. This section of the Book of Exodus (chs. 32-34) is the account of the renewal of the covenant after the rebellion of the people and the smashing of the first tablets (chs. 19-24). Our reading today is the account of Moses returning from the mountain the second time with the two tablets containing the Ten Commandments. Moses’ face shone because he had been in the presence of God. The people were afraid and so Moses used a veil. This apparently continued as Moses went in and out of the Tabernacle to speak with God. 34:29 Moses came down from Mount Sinai. As he came down from the mountain with the two tablets of the covenant in his hand, Moses did not know that the skin of his face shone because he had been talking with God. 30 When Aaron and all the Israelites saw Moses, the skin of his face was shining, and they were afraid to come near him. 31 But Moses called to them; and Aaron and all the leaders of the congregation returned to him, and Moses spoke with them. 32 Afterward all the Israelites came near, and he gave them in commandment all that the Lord had spoken with him on Mount Sinai. 33 When Moses had finished speaking with them, he put a veil on his face; 34 but whenever Moses went in before the Lord to speak with him, he would take the veil off, until he came out; and when he came out, and told the Israelites what he had been commanded, 35 the Israelites would see the face of Moses, that the skin of his face was shining; and Moses would put the veil on his face again, until he went in to speak with him. Psalm 99 proclaims God as King and is part of the “enthronement psalms” (Psalms 93, 95-99). Their purpose is to proclaim that God still reigns despite the failure of the Davidic covenant, including the loss of land, temple, and monarchy. The references here are back to “origins,” to Moses and Aaron and (most significantly) Samuel, who opposed the establishment of the monarchy on the grounds that only God could be Israel’s king. Our second reading is Paul’s midrash (a form of Jewish biblical interpretation in which the interpreter is often fairly free with the original text) on our first reading from Exodus. He speaks of the veil over Moses’ face as akin to the veil over the minds and hearts of the people of Israel so that they could not understand the message. It is a veil, he says, that only Christ can set aside. This is a difficult passage for those of us who have great respect for our Jewish brothers and sisters. Paul is making exclusivist claims about his own faith against that of his fellow Jews. Yet the passage ends well: we are being changed from one degree of glory to another and we do not lose heart. 3:12 Since, then, we have such a hope, we act with great boldness, 13 not like Moses, who put a veil over his face to keep the people of Israel from gazing at the end of the glory that was being set aside. 14 But their minds were hardened. Indeed, to this very day, when they hear the reading of the old covenant, that same veil is still there, since only in Christ is it set aside. 15 Indeed, to this very day whenever Moses is read, a veil lies over their minds; 16 but when one turns to the Lord, the veil is removed. 17 Now the Lord is the Spirit, and where the Spirit of the Lord is, there is freedom. 18 And all of us, with unveiled faces, seeing the glory of the Lord as though reflected in a mirror, are being transformed into the same image from one degree of glory to another; for this comes from the Lord, the Spirit. 4:1 Therefore, since it is by God’s mercy that we are engaged in this ministry, we do not lose heart. 2 We have renounced the shameful things that one hides; we refuse to practice cunning or to falsify God’s word; but by the open statement of the truth we commend ourselves to the conscience of everyone in the sight of God. Luke’s story of the Transfiguration contains one detail that Matthew and Mark lack. We are told about what Jesus, Moses, and Elijah are speaking: “his [Jesus’] departure, which he was about to accomplish in Jerusalem.” Indeed near the end of the chapter (v. 51) there will be a sudden transition: “When the days drew near for him to be taken up, he set his face to go to Jerusalem.” Peter assumes/hopes the experience will last longer but they are sent quickly away with the same voice from Jesus’ baptism: “This is my Son, my Chosen,” with the added “Listen to him!” Having returned from the mountain Jesus is dismayed to find the rest of the disciples powerless to help a child in need. 9:28 Now about eight days after these sayings Jesus took with him Peter and John and James, and went up on the mountain to pray. 29 And while he was praying, the appearance of his face changed, and his clothes became dazzling white. 30 Suddenly they saw two men, Moses and Elijah, talking to him. 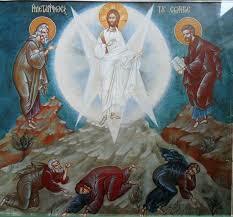 31 They appeared in glory and were speaking of his departure, which he was about to accomplish at Jerusalem. 32 Now Peter and his companions were weighed down with sleep; but since they had stayed awake, they saw his glory and the two men who stood with him. 33 Just as they were leaving him, Peter said to Jesus, “Master, it is good for us to be here; let us make three dwellings, one for you, one for Moses, and one for Elijah”—not knowing what he said. 34 While he was saying this, a cloud came and overshadowed them; and they were terrified as they entered the cloud. 35 Then from the cloud came a voice that said, “This is my Son, my Chosen; listen to him!” 36 When the voice had spoken, Jesus was found alone. And they kept silent and in those days told no one any of the things they had seen. 37 On the next day, when they had come down from the mountain, a great crowd met him. 38 Just then a man from the crowd shouted, “Teacher, I beg you to look at my son; he is my only child. 39 Suddenly a spirit seizes him, and all at once he shrieks. It convulses him until he foams at the mouth; it mauls him and will scarcely leave him. 40 I begged your disciples to cast it out, but they could not.” 41 Jesus answered, “You faithless and perverse generation, how much longer must I be with you and bear with you? Bring your son here.” 42 While he was coming, the demon dashed him to the ground in convulsions. But Jesus rebuked the unclean spirit, healed the boy, and gave him back to his father. 43 And all were astounded at the greatness of God. The Scripture quotations (except for the psalm) are from the New Revised Standard Version Bible, copyright © 1989 by the Division of Christian Education of the National Council of Churches of Christ in the U.S.A., and are used by permission. All rights reserved. The Psalm translation is from The Book of Common Prayer. Commentaries are by Epiphany ESources, E. Main St., Hornell, NY 14843, www.epiphanyesources.com , copyright © 2018. All rights reserved. Permission is given to copy for group study with this attribution. Bulletin inserts are available. Go to our website for more information. The middle portion of Luke’s “Sermon on the Plain” speaks primarily of love and its requirements in deed, such as the love of enemy, the treatment of those among us who are poor, and the love of the stranger. Joseph, the next to the youngest of the twelve sons of the patriarch Jacob, was sold into slavery by his older brothers, who grew tired of his dreams of predominance over them, and the special treatment he received from their father. Joseph ends up in Egypt, and, despite many trials, he ends up as chief steward of the land. When famine comes to the region, Jacob sends his sons to Egypt to buy grain, where they must deal with Joseph, who eventually reveals his identity in today’s passage. Joseph does not seek revenge but takes the long view (see today’s psalm), that God has meant all that has happened for good, or, we might say, has used all that has happened for good. 45:3 Joseph said to his brothers, “I am Joseph. Is my father still alive?” But his brothers could not answer him, so dismayed were they at his presence. 4 Then Joseph said to his brothers, “Come closer to me.” And they came closer. He said, “I am your brother, Joseph, whom you sold into Egypt. 5 And now do not be distressed, or angry with yourselves, because you sold me here; for God sent me before you to preserve life. 6 For the famine has been in the land these two years; and there are five more years in which there will be neither plowing nor harvest. 7 God sent me before you to preserve for you a remnant on earth, and to keep alive for you many survivors. 8 So it was not you who sent me here, but God; he has made me a father to Pharaoh, and lord of all his house and ruler over all the land of Egypt. 9 Hurry and go up to my father and say to him, ‘Thus says your son Joseph, God has made me lord of all Egypt; come down to me, do not delay. 10 You shall settle in the land of Goshen, and you shall be near me, you and your children and your children’s children, as well as your flocks, your herds, and all that you have. 11 I will provide for you there—since there are five more years of famine to come—so that you and your household, and all that you have, will not come to poverty.’” 15 And he kissed all his brothers and wept upon them; and after that his brothers talked with him. Psalm 37, one of the longer in the collection is a wisdom psalm, directed, perhaps, at those troubled by the continued presence of injustice in the world. Do not be discouraged, the psalmist says, the appearance of wealth and power in this world is an illusion. Trust in God, the psalmist says, acknowledging that this will require patience (v. 7). and he shall give you your hearts’ desire. As Paul continues his arguments regarding the resurrection, he tackles the difficult subject of, as we say in the creeds, “the resurrection of the body.” Greek culture could grasp the immortality of the soul, but the resurrection of the body was beyond the average Greek’s belief. Paul’s argument is that there are many kinds of bodies, including spiritual bodies. Earthly human flesh will be transformed. 15:35 Someone will ask, “How are the dead raised? With what kind of body do they come?” 36 Fool! What you sow does not come to life unless it dies. 37 And as for what you sow, you do not sow the body that is to be, but a bare seed, perhaps of wheat or of some other grain. 38 But God gives it a body as he has chosen, and to each kind of seed its own body. 42 So it is with the resurrection of the dead. What is sown is perishable, what is raised is imperishable. 43 It is sown in dishonor, it is raised in glory. It is sown in weakness, it is raised in power. 44 It is sown a physical body, it is raised a spiritual body. If there is a physical body, there is also a spiritual body. 45 Thus it is written, “The first man, Adam, became a living being;” the last Adam became a life-giving spirit. 46 But it is not the spiritual that is first, but the physical, and then the spiritual. 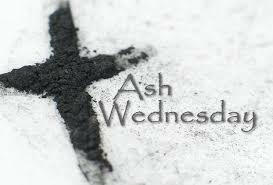 47 The first man was from the earth, a man of dust; the second man is from heaven. 48 As was the man of dust, so are those who are of the dust; and as is the man of heaven, so are those who are of heaven. 49 Just as we have borne the image of the man of dust, we will also bear the image of the man of heaven. 50 What I am saying, brothers and sisters, is this: flesh and blood cannot inherit the kingdom of God, nor does the perishable inherit the imperishable. The middle portion of Luke’s “Sermon on the Plain” speaks primarily of love and its requirements in deed, such as the love of enemy, the treatment of those among us who are poor, and the love of the stranger. When one practices this kind of love, judgment falls to the floor and forgiveness is raised as the highest of values. Luke changes Matthew’s “Be perfect” to “Be merciful (v. 36). 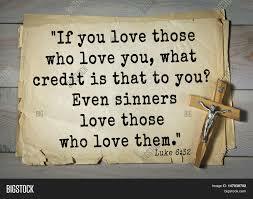 Perhaps they were simply using different collections of these sayings of Jesus, but it could also be that Luke understands the perfection of God to be shown most clear in the mercy of God. The Scripture quotations (except for the psalm) are from the New Revised Standard Version Bible, copyright © 1989 by the Division of Christian Education of the National Council of Churches of Christ in the U.S.A., and are used by permission. All rights reserved. The Psalm translation is from The Book of Common Prayer. Commentaries are by Epiphany ESources, E. Main St., Hornell, NY 14843, www.epiphanyesources.com , copyright © 2019. All rights reserved. Permission is given to copy for group study, with attribution. Bulletin inserts are available. Go to our website for more information. 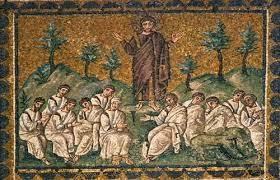 Our Gospel reading is the beginning of “The Sermon on the Plain” (as opposed to the “Sermon on the Mount” in Matthew). These words from Jeremiah are somewhat unique in the tradition of his book as they are more wisdom-like than prophetic. The parallels to Psalm 1—itself in the wisdom tradition—are clear. As is normal for wisdom literature, a simple choice is offered between the way of life with God or death trusting in one’s own strength. Here the metaphors of a shrub in the desert and a tree flourishing by the water make the choice clear. 17:5 Thus says the Lord: Cursed are those who trust in mere mortals and make mere flesh their strength, whose hearts turn away from the Lord. 6 They shall be like a shrub in the desert, and shall not see when relief comes. They shall live in the parched places of the wilderness, in an uninhabited salt land. 7 Blessed are those who trust in the Lord, whose trust is the Lord. 8 They shall be like a tree planted by water, sending out its roots by the stream. It shall not fear when heat comes, and its leaves shall stay green; in the year of drought it is not anxious, and it does not cease to bear fruit. 9 The heart is devious above all else; it is perverse—who can understand it? 10 I the Lord test the mind and search the heart, to give to all according to their ways, according to the fruit of their doings. Psalm 1 is about the (idealistic) contrasting fate of the righteous and the wicked. As such it serves as a kind of preamble to the entire psalter, proclaiming one of the most basic themes of the psalms, that this is a moral universe that cannot be disregarded. Paul’s argument for the truth of the resurrection of the dead continues. His argument is simple (even if his syntax is not). We cannot proclaim Christ’s resurrection without also proclaiming the general resurrection. The “first fruits” is an ancient biblical notion. We bring always our first fruits (i.e., not what is left over) to God (see, for example, Exodus 23). Here Paul is saying that the risen life is Christ’s offering of “first fruits,” on behalf of all humankind. 15:12 Now if Christ is proclaimed as raised from the dead, how can some of you say there is no resurrection of the dead? 13 If there is no resurrection of the dead, then Christ has not been raised; 14 and if Christ has not been raised, then our proclamation has been in vain and your faith has been in vain. 15 We are even found to be misrepresenting God, because we testified of God that he raised Christ—whom he did not raise if it is true that the dead are not raised. 16 For if the dead are not raised, then Christ has not been raised. 17 If Christ has not been raised, your faith is futile and you are still in your sins. 18 Then those also who have died in Christ have perished. 19 If for this life only we have hoped in Christ, we are of all people most to be pitied. 20 But in fact Christ has been raised from the dead, the first fruits of those who have died. Our Gospel reading is the beginning of “The Sermon on the Plain” (as opposed to the “Sermon on the Mount” in Matthew). Matthew’s sermon is 99 verses long; Luke’s only 37, with some of the material from Matthew moved to other settings. Both start with beatitudes, but Luke’s are quite different. They are more direct, not as spiritualized. And they include “woes.” Both blessings and woes very much continue the theme of the Great Reversal from this Gospel. 6:17 Jesus came down with them and stood on a level place, with a great crowd of his disciples and a great multitude of people from all Judea, Jerusalem, and the coast of Tyre and Sidon. 18 They had come to hear him and to be healed of their diseases; and those who were troubled with unclean spirits were cured. 19 And all in the crowd were trying to touch him, for power came out from him and healed all of them. 20 Then he looked up at his disciples and said: “Blessed are you who are poor, for yours is the kingdom of God. 21 Blessed are you who are hungry now, for you will be filled. Blessed are you who weep now, for you will laugh. 22 Blessed are you when people hate you, and when they exclude you, revile you, and defame you on account of the Son of Man. 23 Rejoice in that day and leap for joy, for surely your reward is great in heaven; for that is what their ancestors did to the prophets. 24 But woe to you who are rich, for you have received your consolation. 25 Woe to you who are full now, for you will be hungry. Woe to you who are laughing now, for you will mourn and weep. 26 Woe to you when all speak well of you, for that is what their ancestors did to the false prophets. The Scripture quotations (except for the psalm) are from the New Revised Standard Version Bible, copyright © 1989 by the Division of Christian Education of the National Council of Churches of Christ in the U.S.A., and are used by permission. All rights reserved. The Psalm translation is from The Book of Common Prayer. Commentaries are by Epiphany ESources, E. Main St., Hornell, NY 14843, www.epiphanyesources.com , copyright © 2018. All rights reserved. Permission is given to copy for group study, with attribution. Bulletin inserts are available. Got to our website for more details.